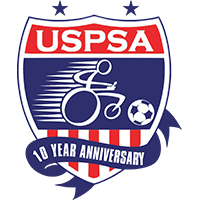 USPSA is proud to announce that MK Battery has signed on as the sponsor and official battery of United States Power Soccer National Teams! This includes the Under-18 team for the upcoming FIPFA U18 tournament, the 2014 Copa Américas team, and the 2015 World Cup team! Regarding the new partnership, USPSA President Dominic Russo said, “The USPSA is grateful to MK Battery for their sponsorship of this great sport. Their support will allow us to continue our mission to reach the many potential power wheelchair athletes we have yet to meet and to give them the opportunity to participate in this exciting sport.” The USPSA welcomes MK Battery as they join us in the beginning of a new era for our sport!